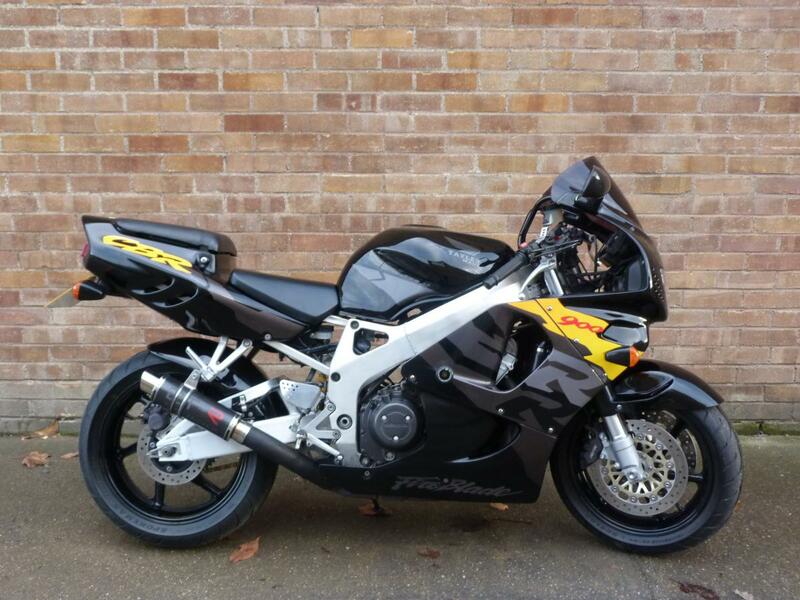 Here for sale is a 1996 HONDA CBR900RR FIREBLADE 918cc with just 13,219 miles on the clock. This Iconic sports bike has been very well looked after and has a very low mileage for its age. The bike has had a fortune spent on it over the years and maintained regardless of cost. The bike has just had a Full Service including the carburettors being stripped, overhaul kits fitted and balanced so that it is 100% ready to ride! It is fitted with a Ohlins rear shock absorber with remote resevoir and the front forks are fitted with Ohlins internals which are a costly upgrade to this machine. Also fitted is a dark double bubble screen, crash bungs, rear hugger, tail tidy, Carbon race can, Dynojet kit and a new rear tyre. Most historical work carried out by Honda specialist HM Racing.